Campbell Brown: Will Farina’s Failures Cost De Blasio Control of NYC’s Schools? A primary reason is his handpicked schools chancellor, Carmen Farina. 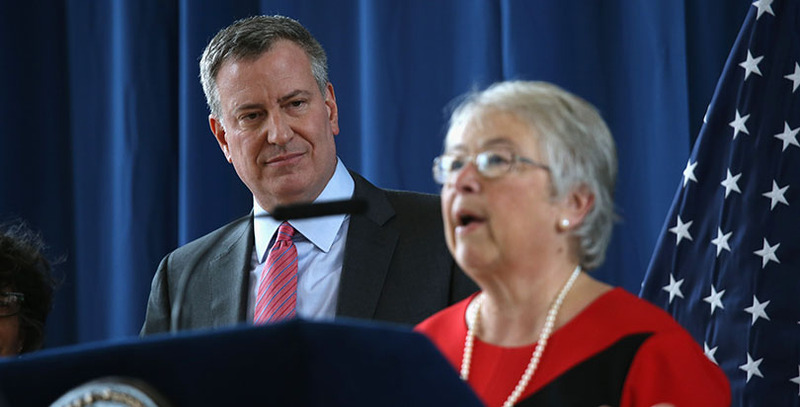 Competence: Her oversight of low-performing Renewal schools has been ruinous. Her team wasn’t even able to release the Renewal plan until two months after the program was scheduled to start. Nor did she publish academic targets for the schools until more than a year into the program, and only after Chalkbeat reported that she had refused to release them. And it soon became clear why. Goals touted as “rigorous” turned out to be absurdly easy to meet — for example, giving schools three years to meet targets designed for one year. Farina validated low expectations and failure for disadvantaged students while making it more likely that the initiative — and administration — will appear successful when goals are met. A year and a half in, the only achievement that Farina has been willing to cite is a decline in chronic absenteeism. Rigor: Meanwhile, Farina re-instituted the centralized command-and-control structure of the past — shifting authority away from principals and back to superintendents who report to her — ending a decade of gains in school autonomy and accountability. Farina doesn’t rely on evidence in making these decisions. She requires Renewal schools to use her favored reading program even after a study found poor students performed better using a different program. Urgency: Nearly 80 percent of city high-school graduates attending community college require remedial coursework. About 10,000 Hispanic and 7,000 black students who should have graduated in 2015 — roughly one-third of each cohort — either dropped out or are still in school with diminishing odds of success. Farina echoes a time when education was even less organized to serve the interests of children, a feeling driven home by a recent report in the New York Post that at least one old-fashioned “rubber room” — in which teachers accused of misconduct spend their time, on full pay — has resumed operation in Queens under her watch. Of course, Farina was hired in the first place because she was willing to maintain common cause with the teachers union and lend her credibility to City Hall-driven initiatives like pre-K. Appointing Farina was a safe political choice for the mayor — at the time. Now he needs to get serious. With due respect for her service, that person is not Carmen Farina.